Obituary for Marie C. (Vitullo) DelBonis | Nardolillo Funeral Home, Inc.
of Warwick passed away on Tuesday October 30, 2018 at Brentwood Nursing Home in Warwick surrounded by her loving family. She was the beloved wife of the late Silvio DelBonis. Born in Providence, she was the daughter of the late John A. and Antonetta (DiZazzo) Vitullo. Marie was a senior teacher assistant for the Cranston Public Schools. 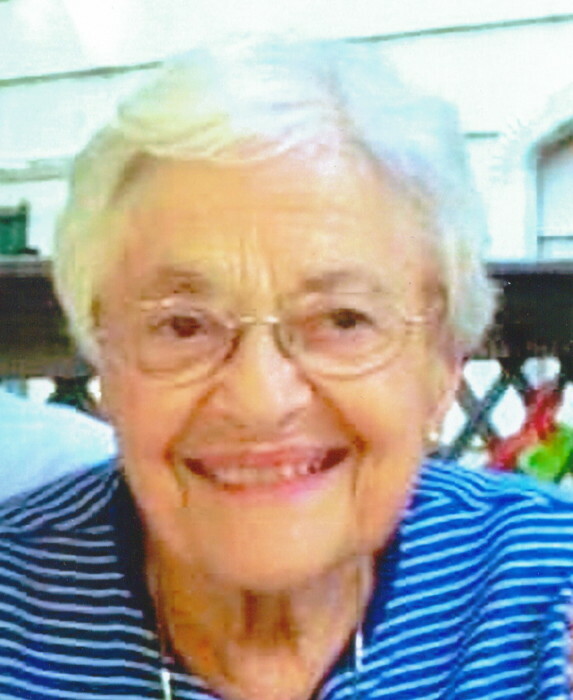 She was the devoted mother of Stephen A. DelBonis and his wife Barbara, Antonia M. Garlick, Francis Paul A. DelBonis and his wife Kimberly, Richard A. DelBonis and John A. DelBonis and his wife Bobbie-Jo; loving grandmother of thirteen; loving great-grandmother of thirteen and loving great-great grandmother of three. She was the dear twin sister of Carmel E. Vitullo and sister of the late Eldora Tessitore. She is also survived by many nieces and nephews. Her funeral will be held on Saturday at 9 a.m. from the NARDOLILLO FUNERAL HOME & Crematory 1278 Park Ave. Cranston followed by a Mass of Christian Burial in St. Mary’s Church 1525 Cranston St. Cranston at 10 a.m. Burial will be in St. Ann Cemetery, Cranston. Visiting hours are Friday from 4 p.m. to 7 p.m. In lieu of flowers memorial contributions may be made to Dana Farber Cancer Institute PO Box 849168 Boston, MA. 02289.